The Sumatran rhino may have been endangered for the past million years, new research has found. A remarkable new study shows that one of the rarest animals in the world, the Sumatran rhinoceros, may have been facing extinction for the past million years: there an estimated 200 Sumatran rhinos remaining, but 12,000 years ago there may have been only 700, for example. The study, which was published in the journal Currnet Biology and is based on an analysis of the rhino’s genome, indicated that Dicerohinus sumatensis has struggled since the Pleistocene era. The Sumatran rhinoceros population probably hit its peak around 900,000 years ago in Southeast Asia, scientists think. But after that, it was all downhill for the species. 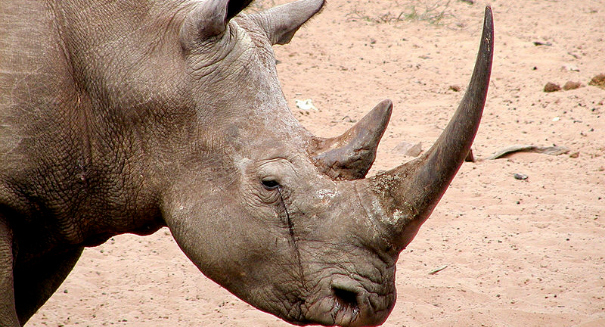 Rising sea levels flooded the Sundaland corridor, eliminating critical habitat for the rhino. And the species never recovered. “Our genome sequence data revealed that the Pleistocene was a roller-coaster ride for Sumatran rhinoceros populations,” says Herman Mays, Jr., of Marshall University. “This species has been well on its way to extinction for a very long time,” adds Terri Roth at the Center for Conservation and Research of Endangered Wildlife at the Cincinnati Zoo and Botanical Garden. “Their population bottomed out and never showed signs of recovery,” Mays says.